If you are suffering from a refractive eye problem such as near or far-sightedness, you may be wondering if contact lenses are the right vision correction solution for you. If you have indicated to us that you are interested in contact lenses, we will ask you to attend a contact lens fitting appointment. During this consultation, we will assess your suitability for contact lenses as well as giving you the opportunity to try some to ensure that you feel comfortable with using them. We will use this information, your prescription and the answers to questions that we ask you about your day to day life to make a recommendation as to whether contact lenses are right for you, and if so, which lens type will be most suitable for your lifestyle. Why aren’t contact lenses suitable for everyone? Unlike glasses, which sit on the outside of your face, contact lenses sit over the top of the natural lens of your eye. This means that they come into contact with some potentially sensitive parts of your body, including the corneal tissue. Some patients, particularly those with allergies and very sensitive eyes may find contact lenses, or the disinfecting solution used with some varieties, to be irritating and uncomfortable. - The patient has such severe refractive problems that there is not a contact lens with high enough power to be able to correct them. (Unlike glasses, contact lenses powers can only reach a certain level before the prescription requires a lens that is too thick to fit comfortably into the eye). - The patient has an unusual shaped eye, which means that contact lenses won’t fit properly. - The patient suffers from dry eye syndrome, which can make wearing contact lenses extremely uncomfortable. - The patient has a disability that may make putting contacts in and taking them out very difficult. It is important that you know how to apply, remove and care for contact lenses properly. Failing to understand how to handle them could result in them, or your eyes, becoming damaged. Placing your contacts in to your eyes the wrong way can also cause problems such as redness, irritation and even pain. If you are approved for contact lenses, a member of our friendly, professional team will be delighted to guide you through the process of applying, removing and looking after your contact lenses. In the meantime, here are our top tips for new contact lenses wearers. - Always wash and dry your hands thoroughly before applying or removing your lenses. 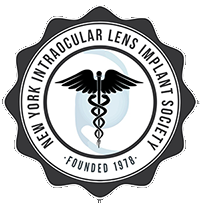 This will minimize the likelihood of microscopic particles getting on to your eye or lens, and will make the process much simpler. - Some light watering or discomfort is to be expected in the early days of wearing contacts, as your eyes will need a little time to adjust. - Air bubbles can form under the surface of the lens, and these can be very uncomfortable. To remove them, close your eye and gently rub a finger over it. Don’t rub too hard as this could cause your lens to become dislodged. - Keep your nails short. This will make the application and removal process either and reduce the likelihood of you scratching your eye. - If you accidentally tear or make a hole in a lens, don’t use it. Give us a call as soon as possible. - If you drop a lens – don’t panic! It is an extremely common accident. Pick it up and hold it between your fingers. Apply a tiny amount of disinfecting fluid to the lens and rub it gently in a circular motion for at least 30 seconds before putting it back into your eye. If you would like to find out more about contact lenses, our friendly, professional team would be delighted to assist you. 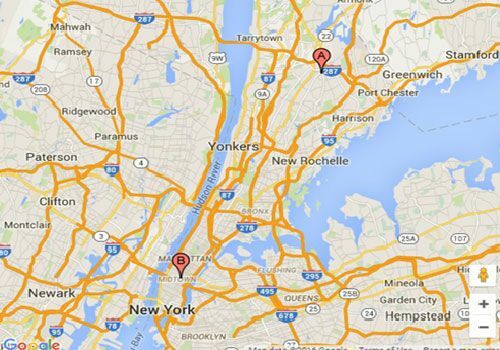 Please give us a call or pop into either of our modern, comfortable New York offices. "Detailed-oriented care and clear explanations and discussion. You understand what you have, how to treat it, and you trust him." "Office staff was friendly and helpful. Dr. Kornstein was patient and thorough and gave me full attention." Please contact us if you have a question, or would like to schedule an appointment. We look forward to hearing from you soon.